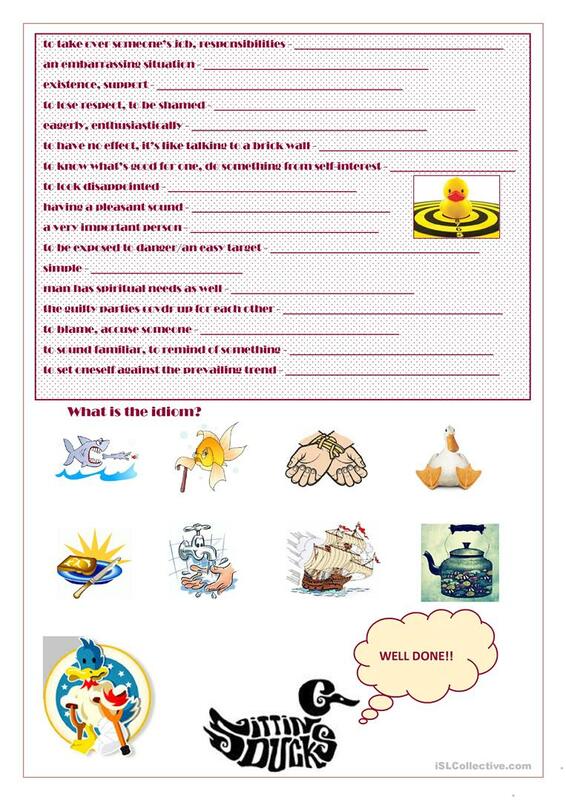 Students can learn and practise idioms with this worksheet. They complete the given idioms with the help of the pictures and match them to their definitions. 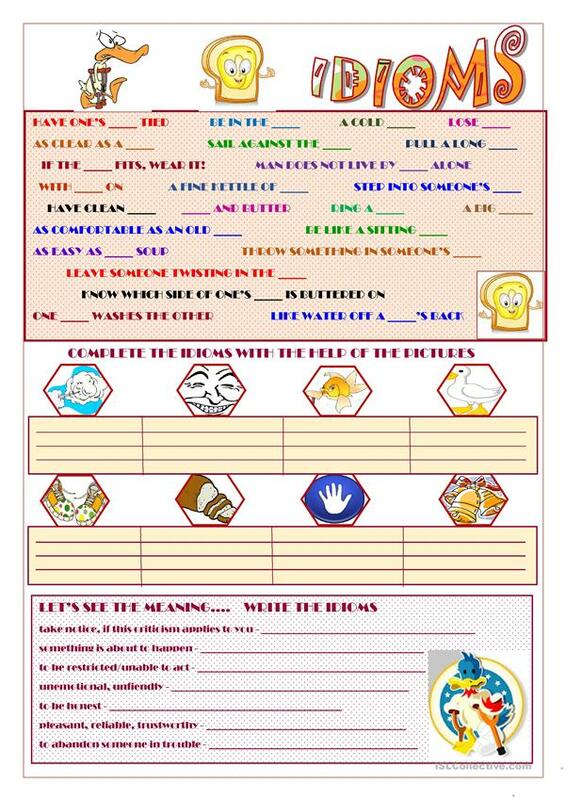 Finally, using more pictures, sts define the idioms. Key is included. 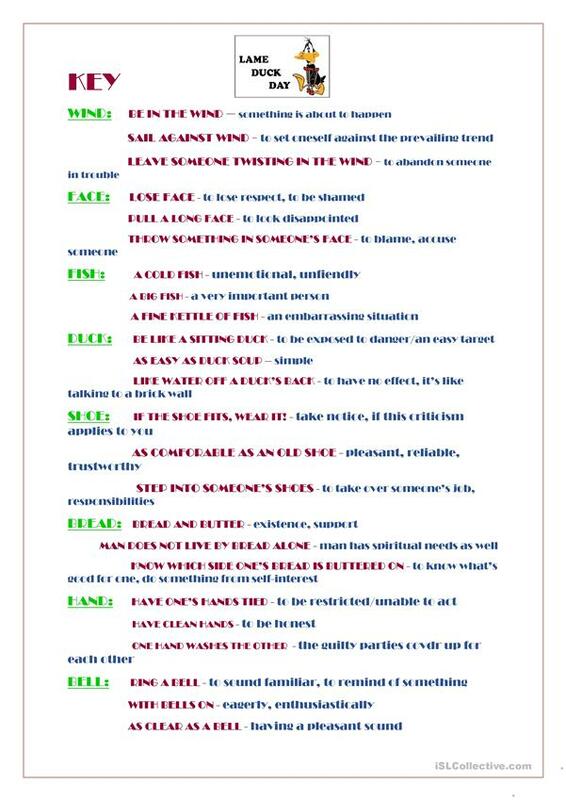 This downloadable worksheet is a great resource for high school students, elementary school students and adults at Pre-intermediate (A2), Intermediate (B1) and Upper-intermediate (B2) level. It is a useful material for teaching Word order in English, and is useful for strengthening your learners' Spelling, Speaking, Reading and Writing skills. It centers around the topic and words of Idioms. It includes the answer key, too.